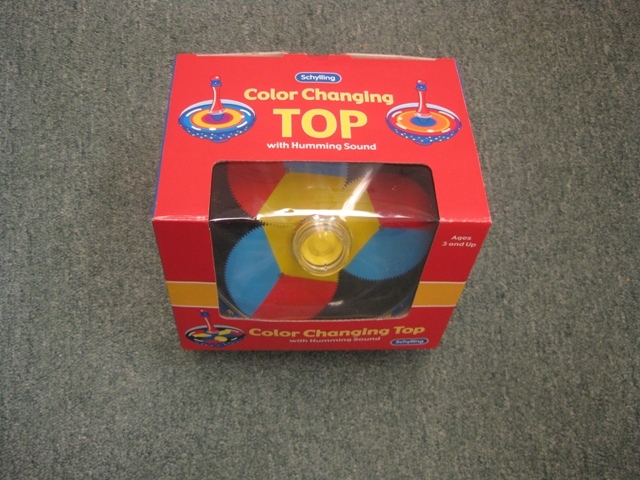 Colors and designs change while the top spins. 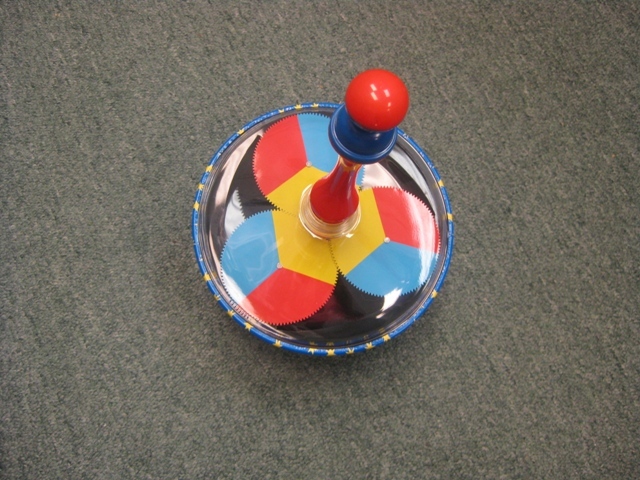 Top makes a humming sound as it spins. Ages 3 and up. 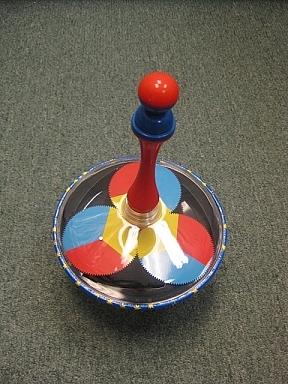 Top is 7" in diameter, stands 11" high.